Baku, the capital city of Azerbaijan, can be a difficult city to get your head around. Look one way and facing you will be a tall, Parisian style boulevard. Look over your shoulder and you’ll see a cluster of Soviet era apartment blocks. To your left will be a crumbling town house from the time of the Russian Empire, and on the right will be an ultra-modern swooping building of glass and steel. 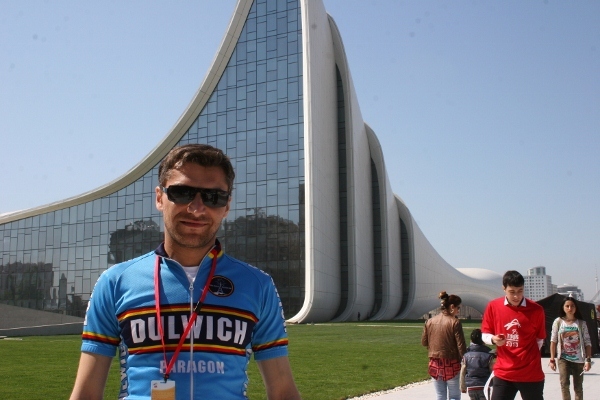 One of the last things you expect to see, standing on the finish line of the first stage of the Tour of Azerbaijan outside Baku’s imposing brand new cultural centre, is a Dulwich Paragon jersey. 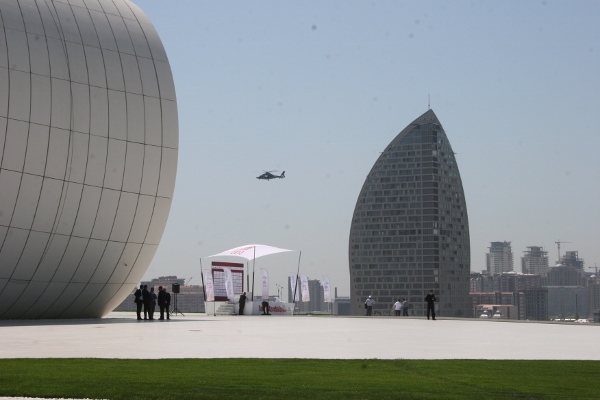 The Tour of Azerbaijan continues for four more days, heading west into the country before returning to the capital on the shores of the Caspian on Sunday. Mammadli was at the race to help the new Synergy-Baku team which, much like the capital of the country in which it is registered, is an unexpected mix. 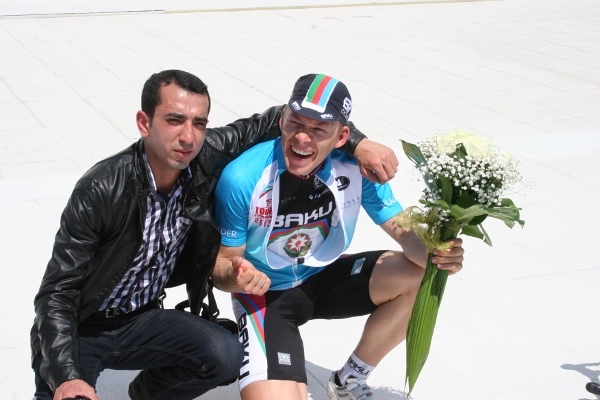 Managing the project is David McQuaid (son of Pat) while the team’s directeur sportif and mentor to the team’s young Azerbaijani riders is recently retired British pro, Jeremy Hunt. The team also sports British rider Dave Clarke, Namibian journeyman Dan Craven, and Irish riders young and old, David McCann and Connor McConvey. 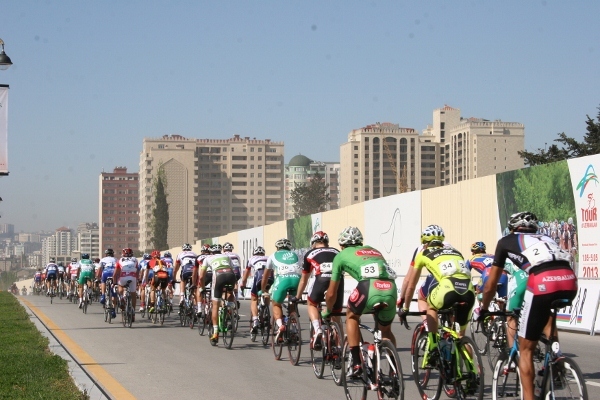 The goal of the team is to put an Azerbaijani on the start line of the 2016 Olympic Games road race. It got a small step closer to that goal on Wednesday, where it won the opening stage of its home race, a 157km circuit race around Baku, thanks to its young German sprinter Christoph Schweizer. “It all worked out perfectly,” said a taciturn Hunt after the race. The Azerbaijan government, backed up by vast oil wealth, is spending heavily on sport and spectacle. Its two bids for the 2016 and 2020 Olympic Games may have failed, but Baku hosted the 2012 Eurovision Song Contest and will stage the inaugural European Games in 2015.